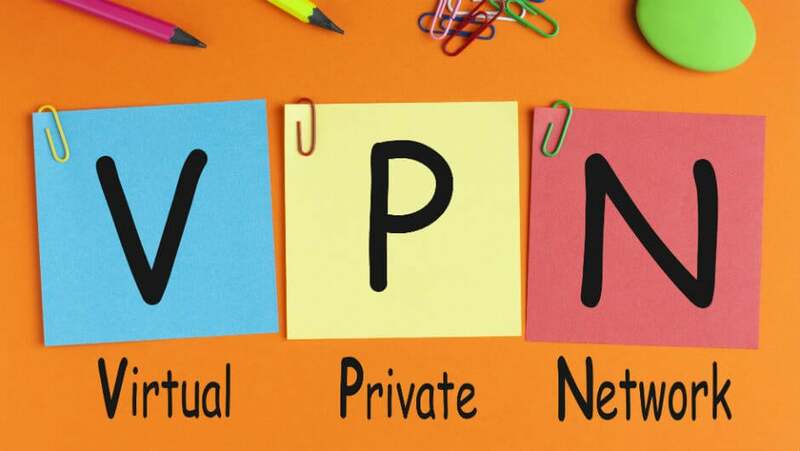 A Virtual Private Network (VPN) is a great way to boost your online privacy and security by providing an encrypted connection to the internet. 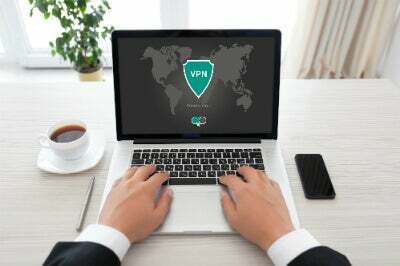 With a VPN, you can connect to websites and online services anonymously, hiding your location and protecting your activity from hackers or snoopers. Cheap VPN services are available for both businesses and personal use. And there are even free VPN tools for PCs, Macs, Android and iOS. Here, we’ll explain how VPNs work, why you may need one, and how to choose the best VPN. What Is a VPN and What Do VPNs Do? What Can a VPN Connection Help You to Do? What VPN Features Should You Look For? Will VPNs Slow Your Internet? Should You Pay For a VPN? VPN stands for Virtual Private Network. The basic idea behind a VPN is to create a private, encrypted ‘tunnel’ that connects your computer, smartphone or tablet directly to a secure VPN proxy server. This, in turn, connects you to the rest of the internet. The VPN server hides your true IP address, making it impossible to trace the connection directly to you. With all traffic to and from your device secured, no one can snoop on your activity or hijack your connection. To use a VPN, you basically need two main things: an account with a VPN provider, and a VPN ‘client’ on your device. To use a VPN, you basically need two main things: an account with a VPN provider, and a VPN ‘client’ on your device. The latter is a utility or app that you install on your PC or mobile device that you use to make the connection. Different VPN providers have different features, speeds and privacy standards, and there can be a big difference between the best and worst. Our top choice VPN for 2019 is PureVPN, based on our independent testing – read our full review of PureVPN to learn more. Not so long ago, VPN technology was mainly used by businesses, only. 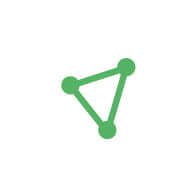 A VPN allows separate sites of the same business to connect to the same local network, or to allow employees to work securely off-site, while still connecting to the company servers. In the wake of 2017’s repeal of Federal Communications Commission’s (FCC) internet privacy laws, a VPN could be used to prevent government agencies from freely monitoring your internet activity, and stop internet service providers (ISP) from collecting personal information about you without your consent. If you don’t want others to know where you are connecting from, you can use a VPN to make it look as if you are connecting from somewhere else. Public wi-fi hotspots can leave you vulnerable, as poor security means your data could be intercepted. This is why it’s a bad idea to do your online banking in a coffee shop, for example. VPNs solve this risk by providing encrypted connections that are protected from prying eyes. Want to watch Netflix while you’re on holiday abroad? A VPN can make it look as if you’re still connecting to sites and services from within the US. Likewise, if you needed to use a services that was restricted to users from another country, a VPN could make it look as if you were connecting from within the country you need. Not all VPNs connect to Netflix successfully, as the streaming giant tries to detect VPNs and block their access. Some, however, are successful, so read our guide to the best VPNs for accessing Netflix to see which we’d recommend. Some ISPs throttle your bandwidth – restricting the speed of your connection – if you use certain websites and services, such as video-streaming services. With a VPN, your ISP wouldn’t be able to tell which services you were using, so couldn’t know to throttle your connection. However, doing so could be a false economy, as there can be some slowdown when using a VPN, anyway. Because of the anonymity offered by VPNs, it’s possible for people to use them in order to carry out activities that could otherwise get them into hot water, such as downloading copyright-protected material from peer-to-peer file-sharing sites. Obviously, value for money is a chief consideration. Most VPNs have a charge system that’s monthly or yearly, with better deals depending on how long you’re willing to commit. Cheap services aren’t always best but, equally, paying top dollar doesn’t guarantee you features that you’re sure to need. Free VPNs are rarely the smartest choice – they can leave you with poorer speeds, sketchier privacy policies, and annoying adverts. Some VPNs are better than others when it comes to maintaining a fast connection when enabled. You’ll typically lose some speed, but this could be anything from 5% to over 60%, depending on the server location and how busy it is. Using a VPN doesn’t make you completely invulnerable. It’s best to choose a service that uses strong encryption, for example. Some VPNs also provide additional built-in anti-malware protection. And watch out for VPNs that log your data and online activity themselves – free services can often be guilty of this. Not all VPNs use the same protocols for connecting. The best ones support a protocol called OpenVPN – a type of connection that uses secure (SSL) encryption. Do you need a VPN that provides a mobile app, as well as a PC-based client? And, if you need to be able to choose a different country as your location when browsing, you’ll need to choose a VPN with servers in that country. Using a VPN may affect the speed of your internet connection, but how noticeable this is depends very much on the service you use. Free VPNs tend to be slower than paid-for services. But, even some paid-for VPNs can make browsing the web and downloading files noticeably slower. This is can happen if there are too many users and not enough servers, though some VPNs are also guilty of throttling bandwidth. Other issues that can affect your internet speed include heavy encryption, which can hog your device’s CPU, and the physical distance between you and the VPN service’s servers. For example, if you’re based in the US, you may find your internet is far slower if you choose an international server for your VPN connection. Try picking a US-based one for a speed boost, without unduly sacrificing your privacy. VPNs themselves are legal to use. But, it’s possible to use one to carry out activities that aren’t. Here at Tech.co, we in no way endorse any illegal activities that may be conducted via a VPN. Our reviews and recommendations will never prioritise services that offer to help users conduct such activities. Even some activities that seem relatively harmless – such as using a streaming service abroad – may constitute a breach of contract for the service. For instance, Netflix’s terms of service state that you should only access the service from within the country where you created the account. It’s also worth noting that the country the VPN company is legally based in determines the regulations you may need to abide by. To answer this question, it depends on how much you’re going to use the service, and the level of features you need. Free VPNs tend to be pretty bare-bones affairs, with little in the way of extra features. Many free services don’t support the safest connection protocols. Some may even log your browsing activities, which could present a privacy problem. The quality of service can be a problem with free and ultra-cheap VPNs, too. You may find there are limits imposed on the amount of data you can download or upload, for example. Or, you may find that server bottlenecks and speed-throttling affect your speeds. Since free VPN providers need to make their money somehow, you may also find that you have to put up with intrusive ads.